Seth Rollins, Braun Strowman, B. Corbin, Fenix, MLW, Netflix, Brandi Rhodes, Roman Reigns, Kurt Angle, Lesnar, Ronda - Sun. Sat. #2 is HERE. To help the website out please subscribe to Mistah MegaManFan so we can reach 1,000 (current count: 822). If you're a gamer you'll enjoy the content! Don't miss Thursday Night AMP from this week! With the cheap plugs out of the way here's Sunday's latest wrestling news. 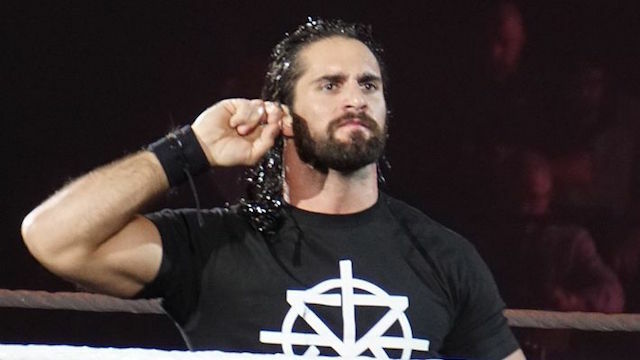 Seth Rollins has been removed from all house show appearances from now through WrestleMania 35, which is obviously to give him time to rest up his injured back before the main event, but he's still booked for Raw on Monday to address Brock Lesnar. Good news -- Fenix (Rey Fenix) suffered a muscle contusion and not any several spinal injury, so he'll only need to be out of action for a few weeks. In this interview Brandi Rhodes talks about the "equal pay" structure of AEW: "Obviously I'm under NDAs so I can't tell you how much people make. So, if you're someone coming straight from the indies, maybe you haven't been on television for a while - if you're male or female, you're starting at the same spot. If you're someone who has been on tv for a while and maybe you've been a champion at a company... there's a lot of players who look the same whether they're male or female. So, they start at the same spot. At places I've worked before, no matter what, you start at this set level of pay or this is your weekly or your per show. But then if you talk to a man, the per show is completely different and they may be a man who's never been on tv before. I've worked for a company where I had a pay that was okay, but it was way below pays of people who had never been on tv before. I've been in this industry for a long time and worked for some of the top companies, so why is that? So that's something we really didn't want to do. We're achieving that and it's going really good right now. Everybody seems to be really happy so we're gonna keep going." Here Roman Reigns signs autographs at World of Wheels in Pittsburgh and was described by attendees as being "in good spirits." In this Q&A Kurt Angle says his Brock Lesnar iron man match was his hardest match: "The one-hour iron man match with Brock Lesnar. It was intense and so was Brock. Not to mention my sister passed away the night before. That match was two world class athletes going toe-to-toe for 60 mins. Intense." A new Ronda Rousey vlog can be watched below. Last but not least Tye Dillinger returned to action at a WWE house show Saturday night.